Blakut: Test your Internet Speed Accurately & Compare your speed with the world. Test your Internet Speed Accurately & Compare your speed with the world. 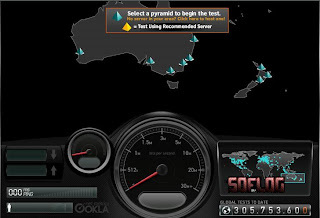 Speedtest.net is a broadband connection analysis tool with a huge selection of geographically dispersed testing servers.